Learn what it means to be a Nor'easter! UNE’s New Student Orientation provides the opportunity for you to prepare for the academic, social, and personal aspects of university life. Orientation is mandatory for new undergraduate students. If you have any questions, please contact the us at (207) 602-2447. Your residential experience is an important aspect of the university experience, therefore UNE has a three-year residency requirement. If you are a deposited student, beginning on Experience UNE Days, you will have the opportunity to complete a Housing and Dining Service Application and Contract. 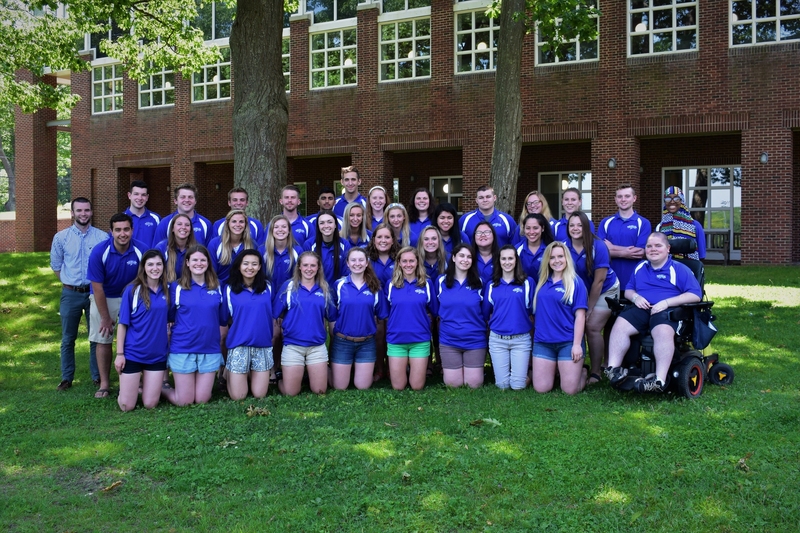 New students participating in Spring Orientation should contact the Office of Housing and Residential/Commuter Life at housing-office@une.edu or (207) 602-2272 for further information. Important Housing Dates are helpful to have on hand over the summer and throughout the academic year so that you know when the halls open and close around holidays and breaks in the academic schedule. Not sure what to pack in the fall? Check out this helpful list, and be sure to coordinate with your roommate so you don’t end up with duplicates! If you have questions, please contact the Office of Housing and Residential/Commuter Life at housing-office@une.edu or (207) 602-2272. If you like, you can change your meal plan at the beginning of the semester. For more information about the dining facilities and details on meal plans and different options, please visit Dining Services. All of these are due by July 1 for Traditional First-Year Summer Orientation. If you have questions, or are participating in an Orientation after this deadline, please contact Student Health Services at (207) 602-2358 or visit their website. Purchase health insurance through UNE. ENROLL NOW! Worried about getting around while on campus? Don’t be! The following options are available to you as a first-year or transfer student on the Biddeford campus at UNE. UNE offers two all-wheel-drive Zipcars that can be rented online by the hour. In addition, UNE has partnered with Zagster to provide a bike sharing network on the Biddeford Campus. Users can register online for free access to the system with a UNE email address. Stations are at the Campus Center, Decary Hall and The Alfond Forum. You are encouraged to bring a bike to our easily navigable campus that includes bike racks outside of all academic and recreational buildings. You are eligible to register for a parking permit beginning August 1 through thepermitstore.com. *Note: Bringing a car to campus is expensive. Parking permits cost $300 and parking spaces are not guaranteed. The Nor'easter Express runs through campus every half hour. The shuttle runs from UNE to the local train station in Saco, to the charming downtowns of Biddeford and Saco, as well as to Biddeford Crossing, where you find a variety of restaurants and shops. The shuttle is free to use with your UNE student ID card and runs seven days a week. Check out the schedule in our Campus Center lobby or visit the shuttle website. Interested in visiting the Portland Campus? Take advantage of UNE's intercampus shuttle from the Biddeford Campus to the Portland Campus!